Mechanical Contractors Association of New Jersey, Inc. Newly elected Mechanical Contractors Association of America President, William “Mac” J. Lynch of William E. Lynch Company, Inc., Worcester, Massachusetts came to New Jersey to attend the Annual MCANJ Board of Directors Meeting and to speak with the Members of the Mechanical Contractors Association of New Jersey this summer at the well-attended Annual Business Membership Meeting held in Iselin, NJ. He spoke about some very important industry specific topics including matters that support market recovery locally and nationwide. He also identified various MCAA Educational Offerings. The Classes, Seminars, and Webinars are available to all MCAA Member Companies and complement the Educational Programs offered locally by MCANJ. Leadership is necessary for positive change and it is not acceptable to just go along for the ride. President Lynch took the time to identify, recognize, and thank all of the MCANJ members that serve on the national level and provide the direction it takes to make a difference. MCAA President Mac Lynch addressed the MCA of New Jersey’s Annual Board of Directors Meeting on June 19, sharing construction and service trends from around the country. The following day, he visited the current World Trade Center construction site with William Albanese, Sr., chairman of MCAA’s Government Affairs Committee and general manager of A & A Industrial Piping, which has three jobs at the site. They were joined by MCA of New Jersey Executive Director Alan P O’Shea. 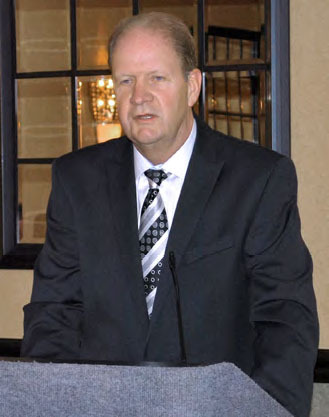 That evening, Mac spoke at the association’s Annual Membership Meeting, highlighting New Jersey’s participation on the MCAA Board and a number of MCAA committees as well as the various programs and offerings that MCAA has to benefi t its members. During the meeting, Robert B Snyder, Jr., executive vice president of Binsky & Snyder, LLC, was elected the association’s new president. He succeeds Frank N. Hughes, the organization’s immediate past president. Nicholas G. Sapnar, LEED AP, was elected to the Mechanical Contractors Association of America (MCAA) Board of Directors at the close of the association’s annual convention in March in part, because of the extensive committee experience he brings to the table. Mr. Sapnar is the president of Sunnyfield Corporation, a LEED accredited mechanical contractor with an outstanding reputation for meeting tough schedules and delivering the work on time and within budget. The company is located in Ocean, NJ. Locally, Mr. Sapnar has been the president of the MCA of New Jersey. He also served as chairman of the Membership Committee and as a member of the Education, Legislative, Labor Policy, and Marketing Committees. He is also the treasurer of the Mechanical Contractor’s Industry Council and a trustee for Plumbers and Pipefitters UA Local 9’s Health & Welfare, Pension and Apprenticeship Funds. At the national level, he has served on the Institute for Project Acquisition, Education and Management Methods Committees. Nick and his wife Gina reside in Spring Lake, New Jersey with their daughters, Jordan 18, and Lainey 16 and son, Nickey 16. Mr. Candido is president of J. Moore & Co. in Livingston, NJ. He is active in the association on both the national and local level. At the national level, he has served on the Board of Directors, the Industry Improvement Fund Committee and the Management Methods Committee. He has also served as secretary for the MSCA National Service and Maintenance Agreement. Locally, he serves as a member of the New Jersey Schedule “A” Oversight Committee. 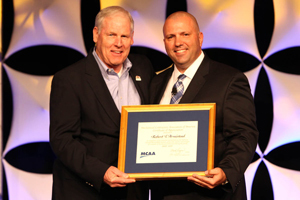 He has served in every official capacity available in the Mechanical Contractors Association of New Jersey, including member of the Board of Directors, treasurer, vice president, and president. He has also been a member of the following committees: education, marketing, labor negotiating, legislative. He has also promoted and developed the (ACE) Architecture, Construction and Engineering Mentoring Program. He currently serves as treasurer of the MCA of New Jersey Political Action Committee. He also has served as a management trustee on the benefit funds of United Association Steamfitters Local 475 and as an instructor in several MCIC evening courses. Robert T. Armistead, P.E., former President of the Mechanical Contractors Association of America, Inc. has been appointed to serve as Chairman of Mechanical Contracting Education & Research Foundation. 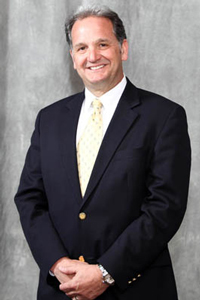 Mr. Armistead is President of Armistead Mechanical, Inc., a fourth-generation mechanical contracting and engineering firm with offices in Waldwick, NJ and Newburgh, NY. Appointed to the Mechanical Contractors Association of America’s Board of Directors in 2003, Mr. Armistead is active in the association on both the national and local levels. 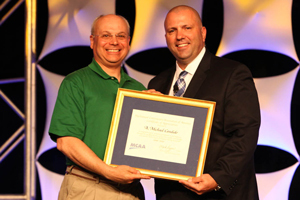 He has served on the MCAA’s Career Development Committee and on the Audit Committee. He currently serves on the ACE Mentoring National Board of Directors and as a Trustee on the International Training Fund. At the local level, he has served two years each as MCA of New Jersey (MCANJ) president, vice president, treasurer, and MCICNJ treasurer. He has served as a MCANJ board member, a position he held for more than 15 years. He also served as chairman of the Education and Marketing Committees. ©1999 - 2017 MECHANICAL CONTRACTORS ASSOCIATION OF NEW JERSEY, INC. ALL RIGHTS RESERVED.